Colorado became the 38th state in the Union on August 1, 1876. Colorado’s first two senators, Jerome B. Chaffee and Henry M. Teller, took office on November 15, 1876. 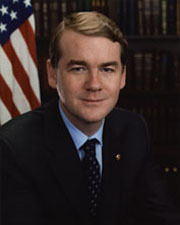 Colorado’s longest-serving senator is Henry Teller, who served non-consecutive terms totaling 29 years, 5 months, and 3 days. 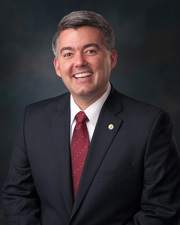 Among those who rose to leadership positions in the Senate are Eugene Millikin, who served as his party’s conference chairman; Gordon Allott and William Armstrong, both of whom served as chairmen of their party’s policy committee; and Cory Gardner, who serves as chairman of the National Republican Senatorial Committee.